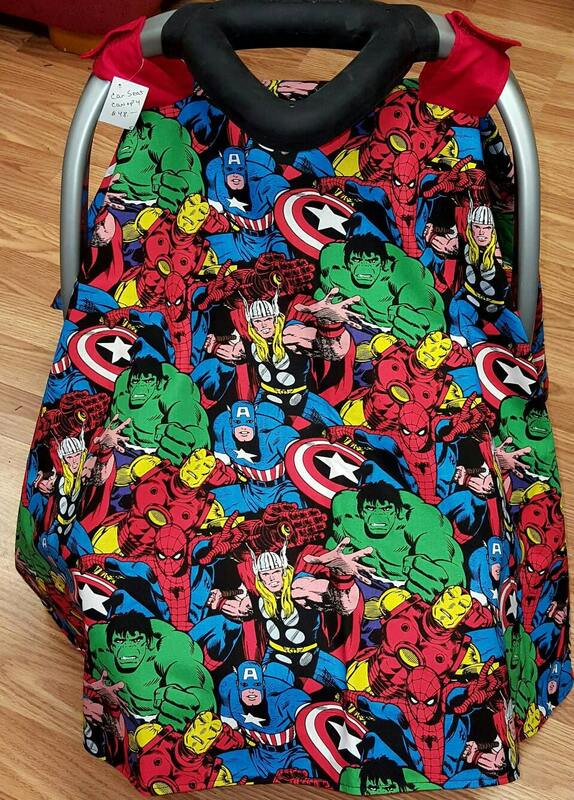 This canopy is the perfect Baby Shower gift. Made with cotton fabrics with a Marvel print on top & a solid green on the bottom. Velcro straps wrap around the handle of the carrier. This canopy is ready to ship. If you would like a canopy with a different print, just send me a message.